Stephanie Francis Ward, a legal affairs writer, joined the ABA Journal staff in 2001. Stephanie had worked as a reporter for the Chicago Daily Law Bulletin and California Law Business, a publication of the Los Angeles and San Francisco Daily Journals. She earned her B.A. in journalism from California State University at Long Beach. Emery Harlan, co-founder of the National Association of Minority & Women Owned Law Firms, talks about how little has changed for diversity in the profession. 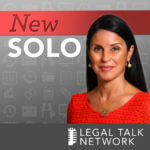 Monica Goyal talks about new legal technology and why young lawyers nowadays aren't trying to experiment with it as much as we thought they would. 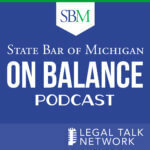 Nicole VanderDoes talks about the #MeToo movement and workplace sexual harassment in the legal industry. Trailblazer Randi Mayes talks about how the mindset of lawyers will change their use of technology in the future. Are lawyers prone to anxiety, or is the pace of the profession the culprit? 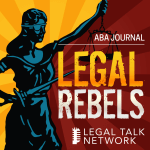 The ABA Journal’s Stephanie Francis Ward speaks with Will Meyerhofer, a psychotherapist who has also been a practicing attorney, to learn more about anxiety and get tips on how lawyers can manage and overcome it. Which practice areas are going to be the most lucrative in the future? So you want to practice overseas? Have you ever daydreamed about having a career abroad? Before saying “bon voyage,” you should know what’s involved. 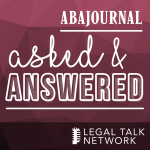 In this month’s Asked and Answered podcast, moderator Stephanie Francis Ward will find out tips and advice on developing a practice beyond U.S. borders. Would your practice be prepared if something happened to you? These tips can give you peace of mind. 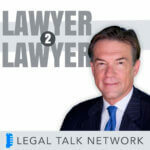 How can attorneys get help without harming their careers?